With all the news today regarding the 9520 information that was posted by The Guardian and its claim that the Storm 2 would be arriving this week on Vodafone, this info comes as no surprise. 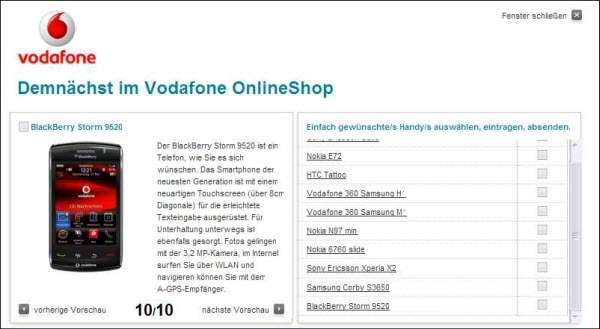 Recently posted on the Vodafone Germany website under the coming soon section is the BlackBerry Storm 9520. No information on pricing is listed at this time, but it does bring us in line with what the Guardian was hinting at in their report.